Missouri Federal Criminal Defense Lawyers - Oberheiden, P.C. Oberheiden, P.C. has successfully represented various clients throughout the U.S., including Missouri, in specifically federal defense litigation. Oberheiden, P.C., unlike most law firms, has solely devoted its practice to federal litigation cases, and our attorneys have unparalleled experience in this field of law. Don’t put your trust in an unproven attorney, and call our Missouri federal criminal defense lawyers at (888) 519-4897 now for a free and confidential consultation with one of our federal defense attorneys. Oberheiden, P.C. represented individuals and corporations in hundreds of federal criminal cases. Our Missouri federal criminal defense lawyers focus exclusively on federal defense litigation, meaning we do not handle state cases. We have tailored our practice to providing well-researched and developed federal legal defense. Federal litigation features the added risk of criminal prosecution and sentencing, which can include severely long prison sentences and substantial fines. Oberheiden, P.C.’s team of attorneys can help you avoid charges entirely. In Missouri, AUSAs (Assistant United States Attorneys) typically pursue multiple counts for a variety of charges. We have helped hundreds of clients across Missouri and the rest of the country avoid prison sentences and paying enormous fines to the government. Call our Missouri federal criminal defense lawyers today for a free and confidential case assessment. An effective defense to federal criminal charges has a better chance of success the more time you provide your attorneys to create effective countermeasures. This is why contacting an attorney as soon as you learn about a possible investigation against you or your business is crucial. If you believe that the IRS, FBI, OIG, DEA, or another federal agency might be investigating your business in Missouri, or you have received a grand jury subpoena (or target letter) from the U.S. Attorney’s Office in St. Louis, do not hesitate. Our Missouri federal criminal defense lawyers can walk you through your next steps and provide a free and confidential consultation. What is more common than not is that numerous federal agencies work in concert as part of a greater investigation, such as the Department of Justice (DOJ), the Internal Revenue Service (IRS), the Federal Bureau of Investigation (FBI), the Office of the Inspector General (OIG), the Drug Enforcement Administration (DEA), and others. In this investigative phase, you will have your first opportunity to defend yourself or your business against allegations. Your Missouri federal criminal defense lawyers can do this by securing answers to two possible questions: (1) which agencies are specifically involved, and (2) what the exact nature of the investigation is, and whether it is criminal or civil in nature. A grand jury is a tool that allows federal officials to formally pursue criminal charges against individuals and businesses. Your first step, if you receive notice, should be to contact an attorney who focuses on federal litigation, immediately. Experienced Missouri federal criminal defense lawyers can help you craft a response, and help you understand how to challenge it, in whole or in part. There is a reason why experience matters so much in federal litigation. Understanding how to raise the right legal defenses and understanding how to communicate effectively (including negotiating) is key to helping clients avoid charges and resume a normal life. Our firm never skips any steps, and provides comprehensive and detailed counsel. Even if it does come down to a guilty verdict against you, contrary to what other attorneys might say, your fate is never predetermined, and there is still room to get a favorable outcome. Our Missouri federal criminal defense lawyers can find a way to minimize the consequences of a conviction. Even if a guilty verdict is ultimately rendered against you or your business, it still does not mean that you are out of options entirely. Even though the grounds for appeals can be limited in federal criminal trials, our firm has extensive experience when it comes to preserving effective appellate arguments and maintaining an active appellate practice in addition to representing individuals and corporate defendants at trial. Missouri is divided into different federal districts. The Show Me State is part of the United States Court of Appeals for the Eighth Circuit (in case citations, 8th Cir.). In the United States District Court for the District of Missouri, federal prosecutors are tasked to enforce federal law on behalf of the U.S. Department of Justice. Missouri is divided into two federal districts, the Eastern District and the Western District. These districts locate federal courthouses as well as branches of the Department of Justice, so-called U.S. Attorney’s Offices. The U.S. Attorney’s Offices in Missouri have federal prosecutors, also referred to as Assistant United States Attorneys (AUSA). 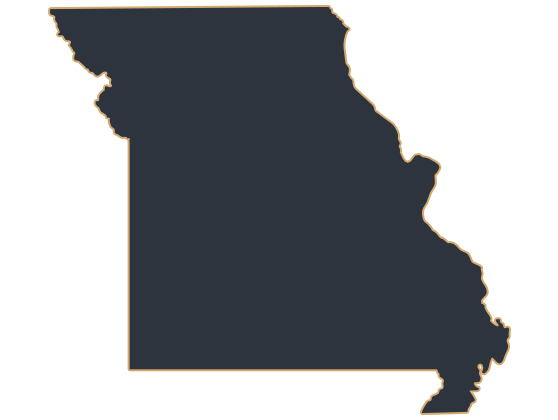 The United States District Court for the Eastern District of Missouri covers the counties of Crawford, Dent, Franklin, Gasconade, Jefferson, Lincoln, Maries, Phelps, Saint Charles, Saint Francois, Saint Louis, Warren, Washington, the independent City of St. Louis, Adair, Audrain, Chariton, Clark, Knox, Lewis, Linn, Macon, Marion, Monroe, Montgomery, Pike, Ralls, Randolph, Schuyler, Shelby, Scotland, Bollinger, Butler, Cape Girardeau, Carter, Dunklin, Iron, Madison, Mississippi, New Madrid, Pemiscot, Perry, Reynolds, Ripley, Sainte Genevieve, Scott, Shannon, Stoddard, and Wayne and it hosts federal courthouses and U.S. Attorney’s Offices in St. Louis (111 South 10th Street, St. Louis, MO 63102), Cape Girardeau (555 Independence Street, Cape Girardeau, MO 63703), and Hannibal (801 Broadway, Hannibal, MO 63401). The United States District Court for the Western District of Missouri covers the counties of Bates, Carroll, Cass, Clay, Henry, Jackson, Johnson, Lafayette, Ray, St. Clair, Saline, Benton, Boone, Callaway, Camden, Cole, Cooper, Hickory, Howard, Miller, Moniteau, Morgan, Osage, Pettis, Cedar, Christian, Dade, Dallas, Douglas, Greene, Howell, Laclede, Oregon, Ozark, Polk, Pulaski, Taney, Texas, Webster, Wright, Andrew, Atchison, Buchanan, Caldwell, Clinton, Daviess, DeKalb, Gentry, Grundy, Harrison, Holt, Livingston, Mercer, Nodaway, Platte, Putnam, Sullivan, Worth, Barry, Barton, Jasper, Lawrence, McDonald, Newton, Stone, and Vernon and it hosts federal courthouses and U.S. Attorney’s Offices in Kansas City (400 E. 9th Street, Kansas City, MO 64106), Jefferson City (80 Lafayette Street, Jefferson City, MO 65101), and Springfield (222 N. John Q. Hammons Parkway, Springfield, MO 65806). What Are Conditions for Pre-Trial Release? – If you have been detained pending trial, our first step will be getting you out of incarceration. Our Missouri federal criminal defense lawyers understand what it takes to defend you against government allegations. Federal Grand Jury Subpoena Defense – It is a complicated and serious matter responding effectively to a grand jury subpoena. Read about how an experienced attorney would handle such a situation because a federal grand jury is much different from a state petit jury. What Are My Options after Being Federally Indicted? – Dr. Nick Oberheiden will walk you through your options to defend yourself against government allegations, even if you have been federally indicted. You still have choices on the table – find out how you can take advantage of them. What Is the Burden of Proof in Federal Criminal Cases? – The expression, “beyond a reasonable doubt,” is very important – find out what it means, and how a jury might judge your own innocence if the case reaches the verdict portion. In a federal trial – the burden of proof is always on the government, and your legal defense team could take advantage of the situation on your behalf by utilizing the proper legal defenses. How to Prepare for a Criminal Trial – Discover how even everyday actions could substantially impact your case (including posting on Facebook, Twitter, or Instagram). Find out how serious actions such as destroying evidence could be crucial in the outcome of your case and read about the options at your disposal as you prepare yourself for trial. How Can I Prepare for My Sentencing Hearing? – Discover what the necessary components of preparation for the possibility of a sentencing hearing are. Find out how you can insulate yourself from severe fines and penalties. Q: What should I do if I have received a subpoena or target letter in Missouri? The first step should always be to contact an attorney, especially if you have received a grand jury subpoena or target letter from a federal agency such as the DEA, FBI, IRS, or OIG. Such documents could be a signal that you are the subject of a federal investigation. Oberheiden, P.C.’s attorneys can advise you on your next steps and how to adequately and effectively respond to these government tactics. An indictment does not mean you cannot avoid a conviction at trial. Our Missouri federal criminal defense attorneys have many decades of federal litigation experience with a track record of aiding clients avoid charges and obtain acquittals. Determining whether your investigation is criminal or civil will be crucial, and our attorneys can help you accomplish this task. Oberheiden, P.C.’s team will work with you throughout the entire process and allow you to make wise decisions when it comes to your case. Our dedicated Missouri federal criminal defense lawyers will walk you through the process, step by step. Our free and confidential legal consultation will explain the strategies we would use if you hired us as your legal defense team. If you need a Missouri federal criminal defense attorney, contact us immediately to schedule your free case assessment. To discuss your case in confidence, call us at (888) 519-4897 or send us your contact information online now.